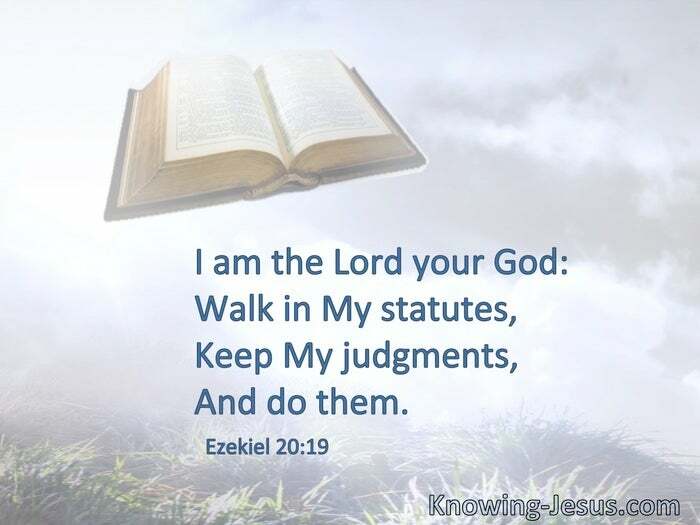 I am the Lord your God: Walk in My statutes, keep My judgments, and do them. As He who called you is holy, you also be holy in all your conduct. 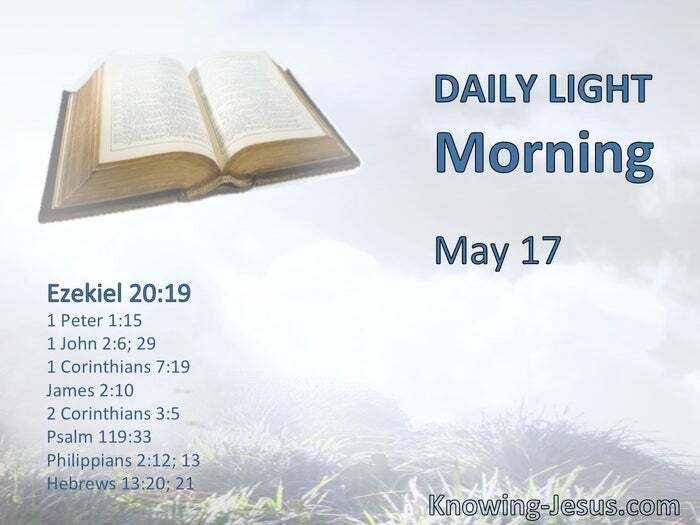 § He who says he abides in Him ought himself also to walk just as He walked… If you know that He is righteous, you know that everyone who practices righteousness is born of Him. § Circumcision is nothing and uncircumcision is nothing, but keeping the commandments of God is what matters. § Whoever shall keep the whole law, and yet stumble in one point, he is guilty of all. Not that we are sufficient of ourselves to think of anything as being from ourselves, but our sufficiency is from God. § Teach me, O Lord, the way of Your statutes. Work out your own salvation with fear and trembling; for it is God who works in you both to will and to do for His good pleasure. § The God of peace … make[s] you complete in every good work to do His will, working in you what is well pleasing in His sight, through Jesus Christ.